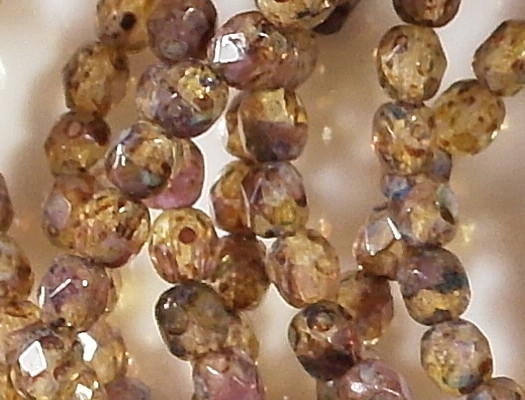 Size/shape: 4mm round with facets. 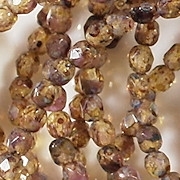 Colors/description: A mixture of clear and opaque grayish purple glass with a mottled brown picasso coating. There is a small amount of blue in the picasso coating, but it is hard to see. 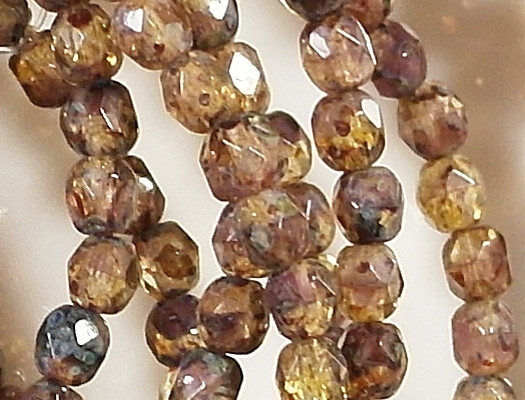 Comments: I got these beads from one of my expensive suppliers, which explains why the price is so high (I usually sell 4mm faceted beads in lots of 100 for about $4.00). 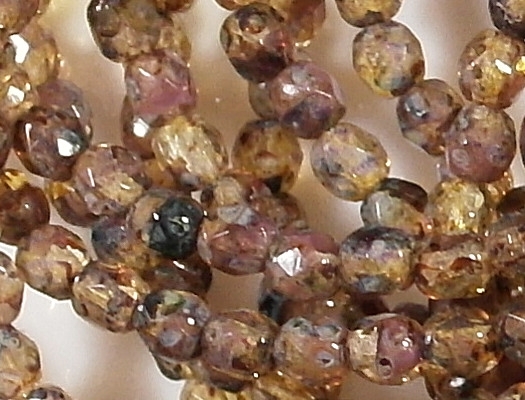 Despite the fact that each clear bead has a cloud of grayish purple in it, the purple isn't very visible. That's true also for the small amount of blue in the picasso coating. 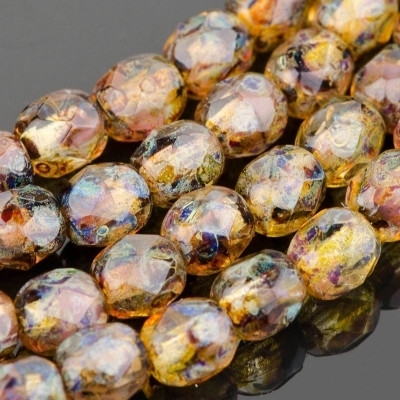 Basically, these beads just look like clear beads with a mottled brown coating on them. 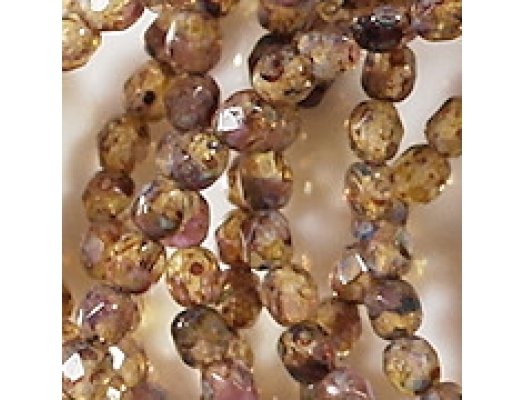 I got the beads because the supplier's picture was light and bright and made them look more interesting than they are. (I have included the supplier's picture. 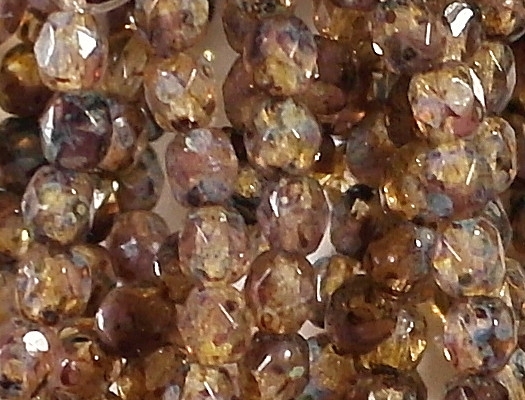 It is the one which is square and in which the beads look almost yellow.) 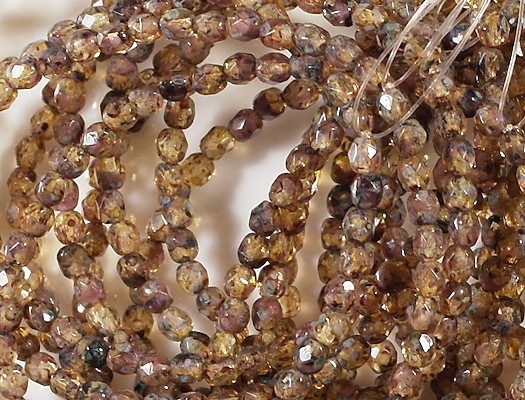 There's nothing wrong with the beads as they are, of course; they just aren't as unusual as they appeared to be.